In recent years, rising labour costs and unstable market conditions characteristic of China’s garment manufacturing sector in the Pearl River Delta (PRD) region have prompted former migrant workers and small-scale entrepreneurs to move their wholesaling and informal manufacturing activities to interior provinces. Their entrepreneurial activities restructure global supply chains by using logistical and transport systems that connect interior regions to major industrial and trading hubs historically built along the coastal Special Economic Zones. These transregional linkages, as I will show, have been accompanied by an expansion of informal entrepreneurship and manufacturing, practices that are primarily driven by early generations of migrant workers who arrived in Shenzhen, Dongguan, and Guangzhou in the early 1980s, and who have relocated back to their native places in smaller cities or in the countryside. After relocating, they typically establish satellite factories and small-scale warehouses that support the manufacturing capacities of larger factories in the metropolitan regions and traditional manufacturing areas. This cross-regional movement of labour and capital highlights the reconfiguration of the country’s industrial base away from the coastal regions to the interior provinces. At the same time, these infrastructure and economic developments underscore the tenacity and initiative of China’s migrant population, whose entrepreneurial activities impact China’s informal manufacturing sector. In this essay, I show how infrastructure projects that link China’s interior and coastal manufacturing regions have intensified key aspects of the country’s informal economy. In particular, I examine the labour conditions of temporary wage workers, as well as the extractive practices of landowners and government officials in the interior regions through their collection of fees and other forms of rent-seeking. These place-based and informal extractive practices remain part and parcel of migrants’ experiences of small-scale entrepreneurship as they reconfigure garment supply chains transregionally across China. In what follows, I draw from my anthropological research in Guangzhou’s garment district, where I have conducted extensive ethnographic fieldwork since 2010. First, I trace the historical linkages of this informal industrial hub to transnational export and trade; I then elaborate on the current PC conditions that have compelled migrant labourers to establish secondary markets of garment manufacture and trade in their native places. By focussing on the case study of a migrant family who has extended their garment manufacturing operations to their hometown in Guangxi province, I will highlight the challenges that migrant entrepreneurs face in light of the central government’s ambitions for industrial upgrading and engagement with world markets. Transnational connections initially fuelled the emergence of informal manufacturing and the export of low-cost clothes in what would become Guangzhou’s garment district in the early to mid-1970s. Before Deng Xiaoping’s market reforms beginning in 1978, the area’s proximity to Hong Kong facilitated the cross-border smuggling of leftover fabrics and second-hand clothing to and from the former British colony. Since then, garment manufacturing and export operations have mushroomed in this working-class district, which was formed from several neighbouring urban villages. This growth compelled traders and brokers from the Middle East, Southeast Asia, Africa, and Euro-America to bypass Hong Kong as an intermediary port of exchange, and to source goods directly from manufacturers in Guangzhou. The cross-border flows of commodities and capital impacted generations of migrants who floated in and out of the garment district. Migrants from the coastal regions of Fujian, Wenzhou, and Chaozhou—who comprised one of the first groups to engage in the mass-manufacture and trade of low-cost garments during the 1980s and 1990s—gradually elevated their social standing to that of the rentier class by leasing small-scale industrial spaces and market stalls to the subsequent generation of migrant entrepreneurs. In the late 1990s to early 2000s, new waves of migrants from the interior provinces of Sichuan, Henan, Hunan, and Guangxi settled in this district in order to take up piece rate labour in the informal garment workshops, as well as to experiment in running their own small-scale factories and wholesale business ventures. Since the onset of the reform era, the financial success of these migrant entrepreneurs has been highly uneven and unpredictable. While some migrants have managed to accumulate modest amounts of wealth in the early years of market reform, the majority of middle-aged migrant men and women today can only find temporary piece rate work by moving in and out of the garment factories in the area. Others float between running their own businesses in the fabric markets during the day, while taking up piece rate work in informal garment workshops in the evening. Elderly migrants struggle to maintain a livelihood by collecting scrap metal and other recyclables from the nearby factories and fabric markets, and by delivering passengers, fabric bolts, and raw materials to the surrounding garment workshops. Here, the average lifespan of a migrant-owned business is only two or three years. Recent speculation surrounding rising labour costs in Guangzhou and across the PRD region, as well as increasing competition from low-cost garment manufacturing in other developing countries, has intensified the sense of financial insecurity and precariousness among migrants. Indeed, since my arrival in the city’s garment district in 2010, migrant bosses (laoban) in the garment district have blamed the 2008 global financial crisis for curbing foot traffic and slowing market growth in Guangzhou’s garment sector. They have predicted that the fashion industry in southern China will soon be eclipsed by developing economies in Thailand, Cambodia, and Vietnam, where labour costs are lower, clothes are cheaper, and styles are more appealing to transnational clients. 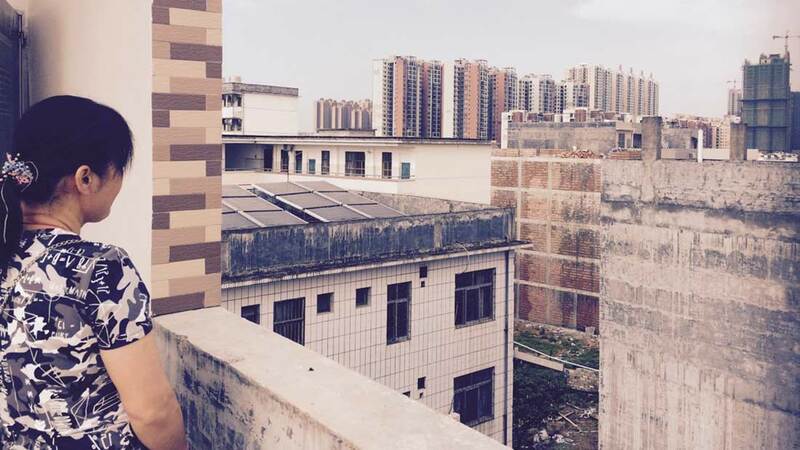 At the same time, since 2010 migrant entrepreneurs in Guangzhou are facing stricter surveillance and disciplinary measures by local enforcement agents who are exerting tighter controls over the flows of people, commodities, and cash in the interest of extracting fees. At the same time, they have been curbing cash-based market activities not falling within the regulatory purview of the state. Prior to 2016, migrant women, both young and old, would set up outdoor tables and racks full of clothing, accessories, and other novelties for sale along the narrow alleyways of the urban villages during the evening hours. Over the last two years, however, unlicensed business activities have largely been prohibited along the main pedestrian roads. Some garment factories and wholesale stalls have been ordered to close, attesting to the tighter regulation of production and other economic activities within the district. Outside of the geographic boundaries of the garment district, uniformed officers are stationed along the major intersections. At certain times of day, officers collect parking fees from truckers and other drivers entering the area, and they prohibit pedicab drivers from riding anywhere within the district. Those caught driving pedicabs at certain times of day are arrested and fined. Such regulatory controls by municipal government agencies have led to dwindling business activities that rely critically on the foot traffic of their overseas clients, resulting in increasingly precarious livelihoods for migrant labourers there. In response to such PC uncertainties, migrant entrepreneurs in the garment district have begun to extend their businesses from Guangzhou to their native places in the countryside and in smaller cities. There, they attempt to establish secondary wholesale shops or small-scale factories in their homes so that they can tap into the local labour markets. While some migrants move their entire factory or wholesale operations to the interior regions, others establish satellite industrial and retail sites in their native places. These business developments have been made possible by the proliferation of high-speed railways and other transport systems connecting major metropolises with more marginal areas all over the country. By moving or extending their business endeavours to the interior, ‘less-developed’ regions in China, migrant entrepreneurs exploit labour markets which offer lower costs, while bringing their manufacturing skills, knowledge of global consumer markets, and transnational client networks to these newly-developed frontiers of accumulation and extraction. In the course of extending their production links across local economies, however, some migrants face unreasonable demands for various payments and bribes, thus adding administrative burdens and capital costs to their entrepreneurial endeavours. As a case in point, a migrant couple I interviewed in the garment district had recently opened a satellite factory inside their new five-storey house in a smaller city in Guangxi province. Since labour costs are lower in Guangxi than in Guangzhou, the Wongs maintain their small-scale workshop in Guangzhou, where Mr Wong receives production orders from domestic and transnational clients who pass through the garment district. Meanwhile, mass manufacture takes place in Guangxi, where Mrs Wong manages and oversees the entire production process. After the garments are manufactured, the finished products are delivered overnight via the newly built high-speed train that connects the interior regions of Guangxi to Guangzhou in a matter of three to four hours. Mr Wong and his employees in Guangzhou then package the finished garments before sending them to their clients. These cross-region linkages of labour, capital, and commodities are spatially segmented and temporally coordinated by the Wongs to serve the ‘just-in-time’ delivery and export of fast fashion. The Wongs paid officials up to 20,000 yuan over the course of the two years that they had been in operation in Guangxi. ‘Initially, they asked for only a few hundred yuan to complete jobs. As soon as they figure out that you are building a house, more and more people come by and demand various forms of payment from you. Now I have to deal with the bills.’ As Mrs Wong explained her dilemma to me, I realised the particularities of how a commercial land or industrial space was governed and managed. Through Mrs Wong’s broad comparisons between doing business in Guangzhou and in her native place in Guangxi, I surmised that networks of patron-client relationships—presumably between landowners, lessors, and other interested people or third parties—were implicated in a division of profits and rents that were collected through the extension of infrastructure, such as electricity lines, in and across particular locations. She then further explained: ‘At first, we thought that the intermediary agent who helped us submit our payment was trustworthy, but then the problems [the demands for payment] kept coming.’ While the Wongs assumed that hiring workers in Guangxi would save labour costs, they did not anticipate the extra costs of bribes and other fees. To be sure, the movement of labour and infrastructure involves negotiations and compromises that, at times, might hamper the seemingly smooth and seamless movement of people, commodities, and production facilities. Having operation facilities both in Guangdong and Guangxi might have offered them flexibility, but keeping machines and employees idle imposed unforeseen costs. In light of these financial demands, Mrs Wong explained that she could not provide work and pay for her current seven or eight employees in Guangxi. She simply informed them that she needed to return to Guangzhou without a precise date of return and rehire. At the time of writing, her employees in Guangxi remained unemployed. The central government’s plans for industrial upgrading and increased engagement in global markets calls for attention to infrastructure projects that restructure global supply chains across China’s interior and coastal regions. It should also prompt us to examine the ways in which these domestic projects link up with various aspects of the nation’s informal economy. Indeed, the practices of informal and precarious labour, as well as various forms of rent-seeking, within China’s rural spaces and smaller cities have intensified as China’s global experiments in cross-border scaling and industrial upgrading are increasingly connected. These dual developments have PC impacts on the mobility and labour of rural migrants. Though the successes (or failures) of China’s infrastructure projects remain ambiguous to many observers, China’s migrant population is definitively being displaced through the ongoing shifts in the extraction and accumulation of capital, even when they return to their native places. As these policies and investments continue to unfold, attention must be focussed on the migrant labour population within China’s informal economies, many of whom remain vulnerable to the societal effects of large-scale displacement and dispossession. This article was originally published in Made in China, issue 2, 2018. Photo: Urban landscape of Guigang, Guangxi province, where the Wongs set up their secondary factory. (Nellie Chu). 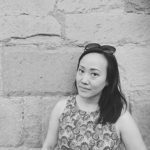 Nellie Chu is Assistant Professor of Cultural Anthropology at Duke Kunshan University in Kunshan, China.